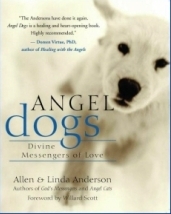 Allen Anderson is a best-selling author and pet-expert speaker who opens audience’s eyes to three of the biggest societal changes in American history – two out of three households have a pet, 88 percent of people with pets view them as members of the family, more people have pets than have children. Allen uses a decade of communicating with pet lovers and his professional experience as a small business owner, consultant, and media specialist to enlighten and entertain audiences about the needs, interests, and priorities of pet lovers. He offers practical insights on what pet lovers want and how to make products, services, businesses, and programs more pet-friendly. Allen earned a bachelor of arts degree in broadcast journalism from the prestigious University of Georgia School of Journalism. He is an instructor at The Loft Literary Center in Minneapolis where he teaches aspiring writers how to break into publishing and fulfill their dreams. 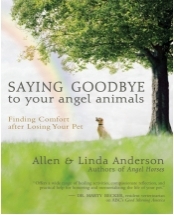 As the miraculous survivor of an unruptured brain aneurysm, Allen Anderson knows the value of pets for bringing healing and comfort, because his beloved pets were there for him through one of the most challenging and painful periods of his life. A trained animal rescue volunteer and safety specialist, Allen raises awareness of the need for individuals and societies to protect and save animals. When Allen Anderson and his wife of twenty-five years, Linda Anderson, hit mid-life, they decided to find an occupation that would allow them to bring more love into the world. 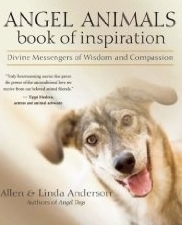 Since founding the Angel Animals Network in 1996, they have become popular speakers and bestselling authors of ten critically acclaimed books about the benefits and complexities of human-animal companionship. 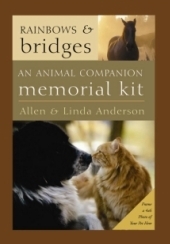 Allen and Linda donate a portion of proceeds from their work to animal rescue organizations and do fundraising activities. Their dog and cats are rescued -- or is it the other way around? The Andersons’ work has been featured on The Today Show, Montel, ABC Nightly News, national wire service articles, London Sunday Times, BBC radio, Canadian newspapers, Publisher’s Weekly, Minneapolis Star-Tribune, St. Paul Pioneer Press, The Times-Picayune, the Arizona Republic, Animal People, and a score of national general interest and animal magazines and newspapers. 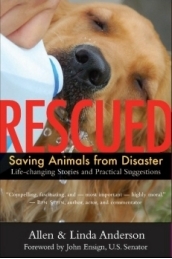 The Andersons’ book Rescued: Saving Animals from Disaster, won the American Society of Journalists and Authors Outstanding Book Award. Allen and Linda each are recipients of certificates of commendation from Governor Tim Pawlenty for their contributions to the state of Minnesota. 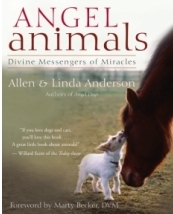 Endorsers and contributors for the Andersons’ books include many celebrities such as Good Morning America’s resident veterinarian Marty Becker, DVM; Betty White, Tippi Hedren, Richard Simmons, Joe Mantegna, Molly Sims, Brigitte Bardot, U.S.Senator John Ensign, Ben Stein, American Humane magazine, Animal Sheltering magazine (Humane Society of the United States), American Society for the Prevention of Cruelty to Animals, Pets 911, and many other best-selling authors. The Easiest Speaker You Will Ever Work With! You will find Allen a pleasure to work with. A consummate professional, he knows the keys to success are careful preparation and meticulous planning. This is why he takes the time to uniquely tailor his presentation for your audience. With Allen as speaker, your program will become a special event attendees enjoy and talk about for months to come. Call 952-925-3309 or e-mail angelanimals@aol.com for more details or to book presentations. 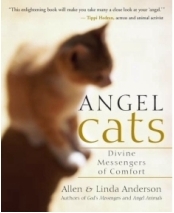 To view Allen Anderson speaking about the benefits and complexities of human-animal companionship and telling his personal story click HERE. To view a clip of Allen Anderson speaking at a the Minnesota Association of Veterinarian Technicians Conference click HERE. 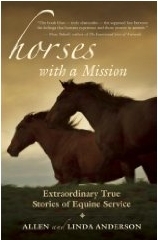 To view a clip of Allen Anderson's interview with WCCO (CBS) about his book Rescued: Saving Animals from Disaster click HERE. Other TV news clips are available on the Press Kit page. To view a clip of Allen and Linda Anderson speaking at a the Minnesota Association of Veterinarian Technicians Conference click HERE. The term Pet Pointman™ is a trademark term. "Thank you for the great session you did for the Veterinary Technician Appreciation Day in Rochester at the Minnesota School of Business. We had great feedback and everyone had a wonderful time." "The Angel Animals presentation was filled with great energy and created a very warm atmosphere. Everyone enjoyed it and people are still talking about it and the wonder of animals." "Allen Anderson is a dynamic and exciting speaker with a solid, quality presentation style that gets his audience completely involved. He is an excellent, inspired, and prepared speaker. I would highly recommend him for any type of audience presentation." 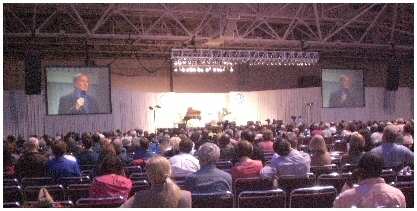 "I've had the good fortune to see Allen speak to audiences ranging in size from a dozen to thousands. The number is irrelevant, because he prepares with the same care no matter how many are in attendance. And everyone feels as spellbound as with any masterful storyteller. So many times I've shared tears of laughter and a changed heart with those around me in the audience. Allen Anderson connects." 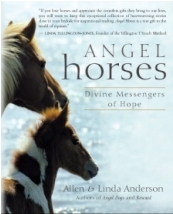 "Linda and Allen Anderson, individually or as a team, are excellent presenters in a group setting. After they appeared on my radio program, "Healing with Your Pet," several times, I asked them to appear personally before my local group, The Minneapolis Theosophical Society. They drew a good crowd of enthusiastic people who were mesmerized by their presentation. They both speak from the heart and really connect with a group. They are excellent public speakers." "Allen Anderson is a gifted and engaging speaker who captivates his audience with stories gleaned from life's trenches, byways, and summits. The essence of Allen's talks can be summed up in two words: life affirming. His easygoing manner, gentle humor, wit and wisdom remind me of Will Rogers." "Even though I’m not a pet lover, have never had a pet of my own, after listening to Allen Anderson speak I realized what a phenomenal impact these little creatures have on their owners. I enjoyed Allen’s speech very much, and it inspired me to be more understanding when I see people interact with their pets and why people see their pets as part of the family. 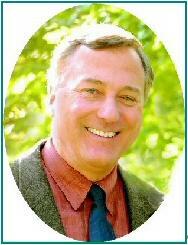 Allen’s insight on on this subject is outstanding, and I would recommend him for any event." 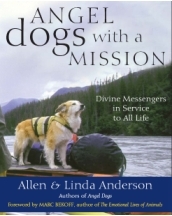 "Allen and Linda Anderson have a special gift of communication whether it’s with the numerous audiences they address each year or the animals they nurture and rescue. Their compassion and assistance for the rescued and the needy as well as the healthy and well-cared for is an inspiring model. Their messages of healing and hope shine through everything they do and have left a lasting impression on me. 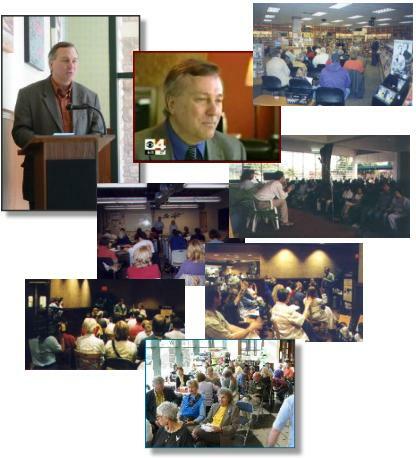 I recommend them, without hesitation, as knowledgeable and inspirational public speakers and writers."